Peace Corps? What is that? I'll take it, they said, and went all over the world, at Kennedy's behest, as hard-working, buoyant representatives of their nation. Dig us a trench, build us a school, give us some medicine. God bless wherever you come from. You find yourself a 65- or 75-year-old today, somebody with spark and wisdom and fire barely concealed, someone who is gentle and generous and wrinkled, and scratch him. Or her. Underneath whatever they have become are old Peace Corps people. They worked anywhere in the world they were needed, small-time ambassadors, big-time hearts. The children of Kennedy, "do-gooders" before the meaning of the expression got scrambled. He and she now go to the reunions, because the Peace Corps was the seminal moment of their lives. First principles at last. They speak the language of everywhere ---- one old friend still rattles on in Swahili; in fact, he could not forget the best duty his soul ever knew, and he went back to Africa to live. He is there this day. Say good night, hope. Show's over. There's the exit, dreams. Be sure innocence goes with you. Get the lights. Eclipse the sun, please. We have a lousy calendar box, the one for November 22, 1963, to answer for this litany. We live now in a society filled with the bleached certainty of flawed leadership and stupid behavior; nobody anywhere near the top to believe in. Patriotism is defined as loving war, the flag leads to death in Baghdad. The outlook was not always so bleak. There was a time, in the thousand days of John Fitzgerald Kennedy, that Americans, on the whole, were filled by that President with the great good glow of what might be. Not all Americans, to be sure ---- haters are always among us ---- but most. Those Americans could walk for blocks on crowded city sidewalks and not once trip over a cynic. Jade was a jewel, not an attitude. Very few people in those days thought in the foolish confines of "positive" and "negative" because there was no negative, no down, no gray, no lost. There was up. There was innocence, belief. Americans did not revile, or fear, their government in Washington. They revered it. They couldn't wait to hear the next development, the next idea, the next dream, the next vision, the next joke. Just to catch a glimpse of the President or Jacqueline Bouvier Kennedy could set you up for a month. On half the desks in the land, in offices and homes, were stacks of governmental papers that Americans welcomed, and pored over. They were application forms. How do I sign up? Telephone calls to Washington hummed like a happy symphony, an exultation of larks. Everybody wanted to go to help out. They had heard the call and were convinced that if they could just get to the Capital now, that instant, they could make something happen. The call, of course, was the clarion come-hither of Camelot, which sang out: Do something for the nation. Don't lay back and wait for the handouts: "Ask not..." the President had intoned on Inauguration Day, and everybody heard, got choked up, tried to recognize the aimlessness of the lives they were leading and answer the call. Kennedy was a shining President/King with a Mrs. President/Queen, all beauty and soaring intellect and self-deprecating humor, telling us what a fine country we had, and what our duties were, how we were responsible for keeping it at the top of the heap. Americans took it in and were inspired. They applied for every government job they could think of. They took their families and went to Washington be part of it, close up. Anything. Peace Corps? What is that? I'll take it, they said, and went all over the world, at Kennedy's behest, as hard-working, buoyant representatives of their nation. Dig us a trench, build us a school, give us some medicine. God bless wherever you come from. There were hundreds of other jobs that they all wanted and signed up for, too. Thousands, probably. Anything that had the mark of service on it. What they all added up to, what the Kennedy presidency was, was joy. It was the spirit that Americans of the time remember. All things worthy, all things do-able. Laughing all the way. Giving shape to public life that was quite glorious. That's how it was, that's how it felt. This remarkable vision of life was brought to an end 40 years ago in Dallas ---- with shots from a mistake of a man out of a mundane building ---- when the President was killed. Our center had not held, and we were not young anymore. Dark curtains fell, and so many Americans have not been able to raise them since, and they squint to see the sunlight. John Van Doorn, a North County Times editor, has been a writer and editor for over 50 years. He worked in New York and overseas for 40 of those years. Since this country was founded, each generation of Americans has been summoned to give testimony to its national loyalty. The graves of young Americans who answered the call to service surround the globe. Freedom is indivisible, and when one man is enslaved, all are not free. When all are free, then we can look forward to that day when this city will be joined as one, and this country, and this great Continent of Europe, in a peaceful and hopeful globe. When that day finally comes, as it will, the people of West Berlin can take sober satisfaction in the fact that they were in the front lines for almost two decades. What kind of peace do we seek? Not a Pax Americana enforced on the world by American weapons of war. Not the peace of the grave or the security of the slave. I am talking about genuine peace, the kind of peace that makes life on earth worth living, the kind that enables men and nations to grow and to hope and to build a better life for their children -- not merely peace for Americans but peace for all men and women -- not merely peace in our time but peace for all time. A few days after a meeting with JKF in September 1961, Colombia One Volunteers arrived in Bogota under the cover of darkness. Colombia was in the waning throes of an extended civil war during which several hundred thousand citizens were killed. It was also, however, a period of national committment to peace and democracy. The decision to send PCVs to Colombia was not low risk, it was forged out of courage and hope for "peace for all men and women [and] peace for all time." Since completing my Peace Corps service I have been fortunate to live, teach and work in Colombia, Kenya, Somalia, Senegal, the Congo, Yemen and other less developed countries. Among the people I encountered in the past 40 plus years, the vision of Camelot reflected our shared dreams and values. The failure to realize the Kennedy dream is less a function of poverty than a failure of political courage and economic leadership. The desire for political freedom and democracy is all too often met by coercion and a theater of national "elections" legitimized by western democracies and international organizations. The goals of social and economic justice are relentlessly undermined by corruption, greed, and incompetence, and as is increasingly evident, not just among leaders in less developed countries. During the first reunion of returned Peace Corps Volunteers in 1966, Robert McNamara, the Secretary of Defense suggested that Volunteers may have contributed more to world peace than its military organizations. His reflections and the vision of Camelot are still worth pondering. This brought tears to my eyes - remembering what was and what could have been. I was with my mother and sister campaigning for him - he was vivid color and life in a black and white world. 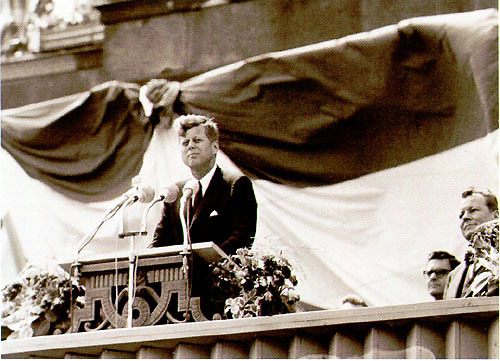 I was only eleven years old at the time Kennedy was killed, but he was so much a part of my life and that of my family that those times so filled with promise are totally etched in my memory. There are times when I think there is still hope for our country and our world, but then I read the newspapers and my hopes are dashed - I see our leaders in DC. What an excellent reminder of what we had chosen to do and the everlasting vision for all people that has remained. The idea of the Peace Corps was much bigger and more enduring than JFK who, after all, borrowed the idea from Hubert Humphrey, who took it from Harris Wofford, who undoubtedly heard it from somebody else. So let us look forward, not back. There is much to do in this world and many ways to do it. We must not be slowed by easy sentimentality but rather devote our energies to the betterment of mankind, and in doing so encourage our children and our children's children to do likewise. Those who do not learn from history are destined to repeat it. We seem to be repeating history right now. Those of us who are willing to work for the "betterment of mankind" need to remember that the promise of the Peace Corps was followed by the horror of Viet Nam and the betrayal of the Nation by Presidents elected by the people in the hopes of the "betterment of mankind." On 11/22/63 I was a student at the Univ of Minnesota and will never forget hearing the words of Walter Cronkite when he announced that the President had died. I was inspired by the President and respected gov't at that time and later chose to serve as a PCV in Panama ('67 -'69): the two most significant years of my life. Oh how I wish we could regain integrity and trust in our leadership today. Even as a former Peace Corps Volunteer (Iran 1966-68), I found John Van Doorn's editorial mawkish and misleading. Has he forgotten that many of the young men who joined the Peace Corps in the 60s and 70s were seeking an alternative to the war in Vietnam? A war for which Mr. Kennedy deserves a great deal of credit -- and blame. I appreciated everyone's responses, especially that of Adrienne Gorman. She's right, Kennedy was both the spirit behind the Peace Corps and the leader who started us on the trail to Vietnam. I served in Central America in the late 70's and tried to do so in a spirit of peace. Yet several of the priests, nuns, and regular folks I met and worked with were later tortured and killed by forces directly supported by the American government. And PCV's are still laboring for peace today, while their government is actively engaged in the opposite. There's always been a dichotomy between our best and worst national characteristics. Ironic? Sure. Am I cynical? Sometimes. But I still prefer hope over despair, and I think our work for peace is one of the best efforts made by this country. For this, we are pretty much obligated to thank President Kennedy. Happy holidays to all of you. Ahem, serving in the Peace Corps did NOT exempt one from the military. In fact, I remember two PCVs from San Luis Obispo County, California being drafted out of the Philippines and sent back to serve in the Army -- over the PC's protests naturally, but nothing they could do about it. That sort of thing did cause Congress to allow a deferment from military service during the actual period of PC involvement. But you could be drafted the moment you got back to the States. This didn't effect me personally, since I was already a VN vet when I went in as a PC university vol in 1973 (Thailand #43). In fact, there were 3 or 4 other VN vets in my group, plus one ex-USAF (Okinawa), a couple of US Navy vets and one lucky SOB who had been stationed in Bangkok in the Army. I ran into other VN vets during my PC service. Yes, Kennedy did get us into Vietnam. (The Eisenhower Doctrine had been to write off former French Indo-China and "hold the line" at Thailand. JFK decided he could "save" S VN from communism.) And I do get bugged at people who try to pin the war on LBJ and Nixon, who really inherited it from JFK. But kindly do not brand male PCVs of the VN era as draft dodgers. I have 8 ribbons to wear on my chest, including 2 for valor and am just as proud of my VN service as my PC years. There were plenty of VN vets in the PC. Do I think we were right to become involved in the VN War? Probably not. But then look at the mess GB the Second has got us into in Iraq. As Yogi Bera would say, "It's deja vu all over again." Don't presidents learn from the past? 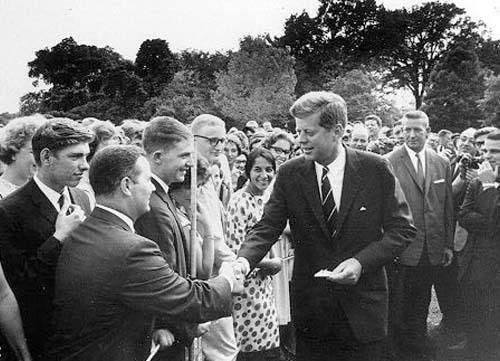 It was not long after Kennedy was killed that I took the Peace Corps test on the campus of Brooklyn College and in June of 1965 headed off to Michigan State University to begin training for two years in Nigeria in Rural Development...imagine a guy from Brooklyn teaching farming techniques and cooperative organization - "who wuda thunk?" But JFK thought...he recognized that hidden ability in all of us to help one another... and the benefits that accrue to both! My life has never been the same. I can not imagine my life without the Peace Corps experience. It shaped me in so many ways. I am sure that was true of every PCV. I do not know if I had an impact on my small village in that portion of Nigeria that had become Biafra - now almost 40 years later. I know that I was transformed and I would hope for the better. I remember carrying Kennedy half-dollars to be used as medals of honor - and they were highly valued (way beyond $.50) by those to whom they were given. Kennedy's legacy lives on in all of us and in all the people we touched. Perhaps one day we will be able to deliver the peace that he was helping us to build. THE DAY JFK PASSED I WAS GETTING BUILDING MATERIALS FOR THE PROJECTS I WAS WORKING ON IN CHANCAY, PERU. I KNOW MEMORY IS UNRELIABLE BUT AS I RECALL WITHIN TWENTY MINUTES TO HALF AN HOUR AFTER HIS PASSING, THE PERUVIAN FLAG ON THE SCHOOL WE, FOUR PC VOLUNTEERS, WERE WORKING ON WAS AT HALF MAST. LATER THAT DAY I THOUGHT THAT I WOULDN'T HAVE CHANGED PLACES AT THAT POINT WITH ANYONE IN THE WORLD. THE FIRST THREE PERU GROUPS WERE DELAYED ENTRY INTO THE COUNTRY, ALL ENTERED PERU AFTER THE MILITARY GOVERNMENT DECLARED A DATE FOR ELECTIONS. THILS SEEMS TO ME LIKE AN UNCHARACTERISTIC THING FOR OUR GOVERNMENT TO DO. MORE LIKE IT WOULD BE THE DOMINICAN REPUBLIC IN 1965, UNDER JOHNSON, WHEN US MARINES WERE ON ONE SIDE OF A LINE FIGHTING WITH DOMINICAN GOVERNMENT TROOPS WHILE SEVERAL PC MEDICAL PEOPLE WERE ON THE OTHER SIDE PATCHING WOUNDED. WHEN AN RPCV TOLD ME ABOUT THIS WHEN SHE GOT BACK TO THE STATES, AS A VETERAN OF THE MARINE CORPS, PRIOR TO THE PEACE CORPS, I FELT CUT IN HALF. SO MUCH HAS CHANGED SINCE THEN, NOT NECESSARILY FOR THE BETTER, THAT I HOPE THAT INDIVIDUALLY WE ARE MAKING A DIFFERENCE IN OUR LIVES AND OUR COMMUNITIES. THAT OLD RAG THEY USED TO PROMOTE THE PEACE CORPS, "HELP PEOPLE TO HELP THEMSELVES", WHAT I GOT OUT OF THE EXPERIENCE SEEMS SO VALUABLE, SO CRITICAL TO WHO I AM THAT I THINK I WAS LEARNING TO HELP ME TO HELP MYSELF. All interesting and thought-provoking comments were posted here. No matter whose thought the formation and implementation of Peace Corps was, it was and is a "noble endeavor". My service to Peace Corps, The Gambia (1972-74) was an experience of a lifetime. I learned so much from the people and life there. They, in turn, saw that most Americans are not "rich and famous" (as depicted in the American movies they watched in their outdoor theaters), but rather, people who wanted to learn about other cultures and help with whatever skills they had to offer. It is a mutual experience that I believe does so much more for world peace. The first message I read was Ronald Schwartz's which made reference to his arrival in Bogota in 1961 under cover of darkness. Some three years later I followed in his footsteps. It was prescient that on my first night in a Bogota hotel I was awakened by a sound of a bomb exploding somewhere in the center of the city. I am saddened by the turn Colombia took in the 80's and have often wondered what more could have, should have been done by Peace Corps and the U.S. to avoid the corruption of the drug lords. I wonder who among the children in my community that I knew or that attended the schools I designed were part of the drug cartels or the opposing military and para-military forces shooting each other once again. What lessons from history should we have been paying attention to? Why were we not able to see down the road to the chaos that would develop 20 years after our service? And when will we as a nation learn to study history and heed its teachings. Former Illinois Senator Paul Simon has just died. One of the Chicago papers carried a banner over a story about him which read in part something like, "Loved and trusted." What a fine epitaph for anyone let alone a statesman and politician! Something to aspire to. The legacy perhaps of the Peace Corps and we children of Kennedy. How often I have wondered how my PCV experience in Colombia shaped my last 40 (!!) years. Many times I consider, not enough. I look back at all the US presidents we have had since Eisenhower--and JFK was the only one I really admired during his presidency. Later, of course, things would come out that would tarnish his all too short term, but his youth, his personality, his "vigah" in spite of his debilitating chronic diseases, and his charisma inspired a generation. 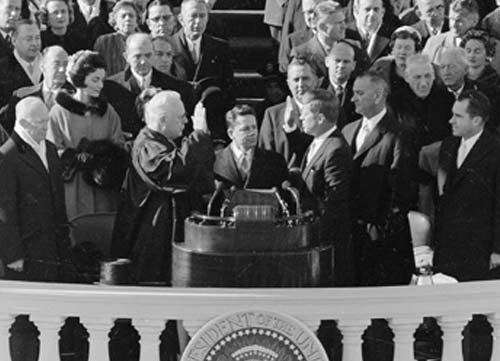 Kennedy challenged our generation in so many ways: getting to the moon, helping the poor around the world, confronting the Soviets in Berlin and Cuba, confronting the segregationists at the school house door. Sadly, no one today comes close to that type of leadership. The Peace Corps was a magnet I could not resist. My service in Ethiopia in the mid-sixties was, as John Van Doorn said, a seminal moment for me. It inspired me to continue to serve my country in third world regions -- albeit in somewhat more comfortable housing -- as a Foreign Service Officer working in US Embassies in Africa and Latin America. After all, only by living in such countries can one truly appreciate what we have in the US. Kennedy did inspire a positive view of public service which did not stop at the national border. Many of us "boomers" also had the Peace Corps as a post-college choice not available to our parents' generation. 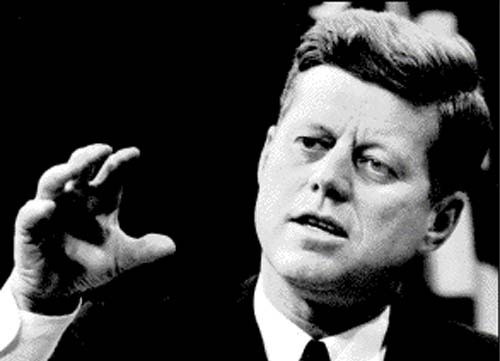 I think that factor probably attracted as many Volunteers as Kennedy's charisma. I personally served in Panama from 1970-71, and had a mixed experience. My first assignment as a horticultural/ag. volunteer was not supported by the local agency representative, which added to the other difficulties you would anticipate. My second assignment, as a fisheries specialist, was much better coordinated with the parallel governmental department. Being a nostalgic type, what I've always felt the Peace Corps needed in-country are some summary records for each volunteer placement, with what was attempted, results at the time, and most importantly, what changes/improvements persisted, say 5 years later. I don't have the freedom, time, or money to revisit my sites to discover these things for myself. I'm sure many RPCVs may share this same frustration. Peace, Vinson Straub, in the Bluegrass.